COMMUNITY groups looking for funds to get their latest project off the ground can now apply for CS Energy sponsorship. Applications for round one of the energy company's community sponsorships program in the Western Downs are now open, with groups in Chinchilla able to apply for a maximum of $30,000. 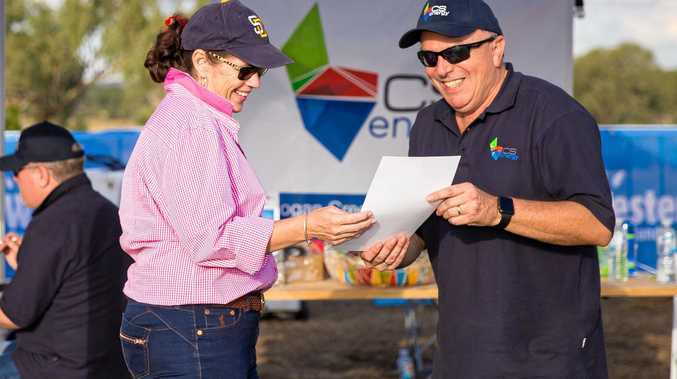 Kogan Creek Power Station general manager Phil Matha said CS Energy placed a strong emphasis on contributing to the social and economic wellbeing of local communities that host its operations. "CS Energy will support partnerships and sponsorships that have a clear benefit for the community,” he said. To be eligible for the sponsorship program, proposed community projects or events must align with at least one of CS Energy's focus investment areas, being safety and environment, social and community development, education, culture and art, and active and healthy communities. Applications will close at 3pm on September 28. Applications will then be reviewed by an internal assessment panel. Round two of the sponsorship program will open early next year.